It is also known as Zorbing Ball, Water Walking Ball, Water Walker, a quite popular sporting recreation of adults or kids walking or running inside the ball on water worldwide, especially in Australia, USA, Canada and Europe etc. It is large Inflatable Water Sphere Ball with size of 2 meters as diameter, and larger size is practicable. The Giant Inflatable Bubble Ball Water Walkers Zorbing Balls contain a good quality sealing zipper from Germany "Tizip" and a entrance for people to enter into or come out, and can be used in the inflatable pool or field, beach, lake etc for lots of fun, especially for children. Just enjoy the Inflatable Water Walkerz Zorb Ball Sport Games and sure you are going to love it! In order to no suffocation, people MUST NOT stay inside over 15 minutes. Are you sourcing for Inflatable Water Walking Ball for Sale in competitive cost from China? We are supplying a number of Water Walkers around the globe in reasonable price and satisfactory quality as well. If you intend to make a trial order, welcome to get in touch and order with us. Unit Price: US$99 - 399. Free Shipping to Australia, Europe, North America and Southeast Asia. How Should We Use Inflatable Water Walking Ball for Sale? 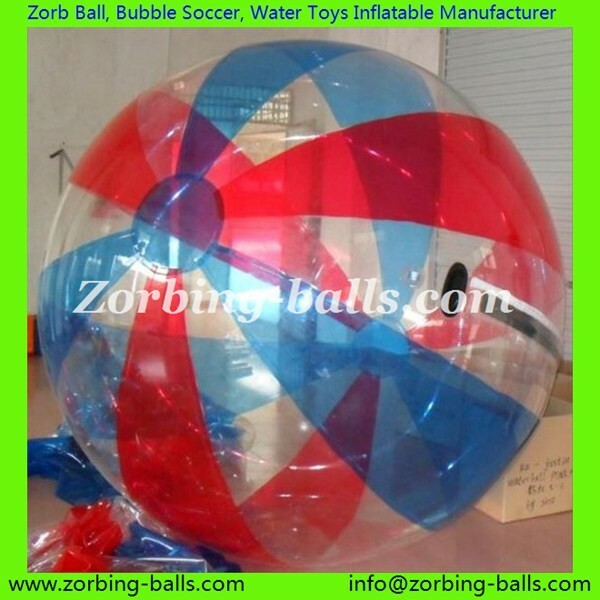 How to Place an Order Inflatable Water Walking Ball for Sale with us? 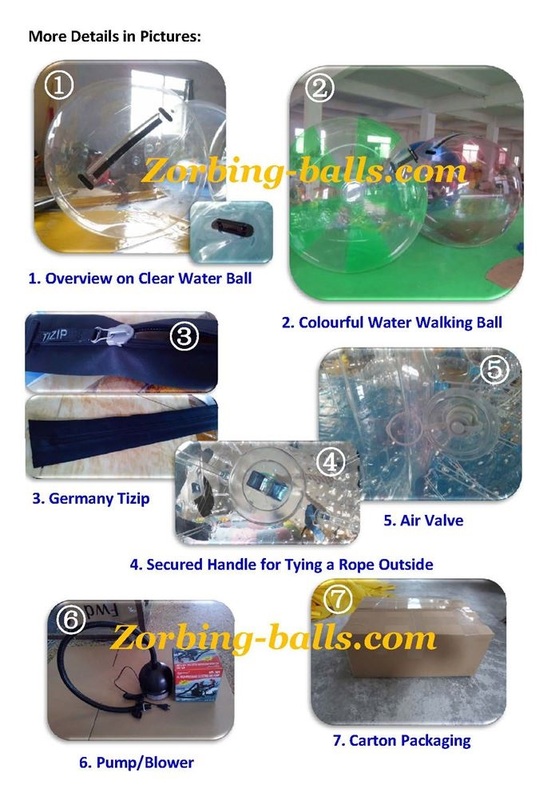 1) To get a quote: email us via zorbing-balls@hotmail.com first, advising item no., quantity and country. 3) For any more help, don't hesitate to email us at zorbing-balls@hotmail.com.